We couldn't be more thrilled with all of the rich educational resources that are becoming such an important focus within the flower industry. 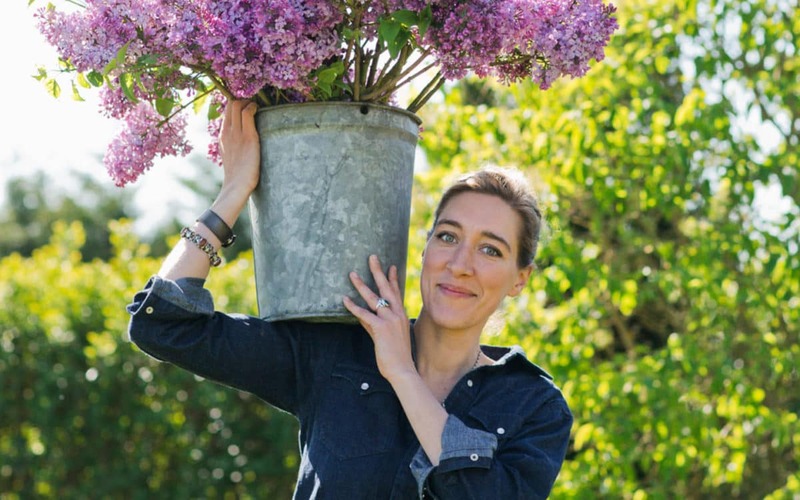 From in-person workshops to online tutorials, there are so many different ways for florists to continue learning & growing, and Erin Benzakein's new book, Floret Farm's Cut Flower Garden, is a welcome addition to this growing collection of educational tools. Lucky for us, Erin was able to take a little time out of her busy schedule to answer a few questions about her book, and we wouldn't be surprised if you hightailed it out the door to your nearest Barnes & Noble to pick one up after you finish reading! Enjoy! So let’s go back to the very beginning. 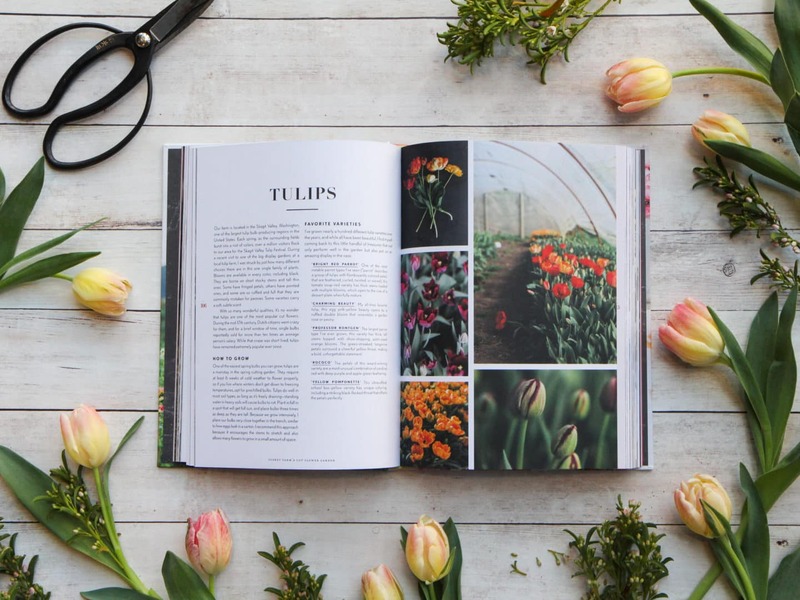 With everything already going on in the Floret world - growing & selling flowers, educational workshops, and selling seeds just to name a few - adding a book to the mix seems a little bit crazy! What made you want to write a book in the first place? I have a habit of taking on multiple massive projects at the same time; and you are right, it can be a little crazy! In this case, I have the book to thank, and to blame, for Floret Seeds. For years, I had dreamed of writing a book and having my own line of seeds, but the latter was always something I envisioned for sometime much further down the road. Well, that timeline got bumped up when I realized that many of my favorite cut flowers, the very ones I was writing about in the book, are not widely available unless you’re willing to wade through obscure catalogs without photos organized by scientific names, or spend a lot of money buying seeds in bulk. Most gardeners, florists and small scale growers only need 50 to 100 seeds of a particular variety, not 1,000! My editors at Chronicle Books emphasized the importance of making the book accessible and approachable to home gardeners, so rather than substitute some of the flowers I featured, I decided to source the seeds myself. It was then that Floret Seeds was born! You’ve mentioned that you wish this book existed when you first began growing flowers - what do you hope readers will gain from it? 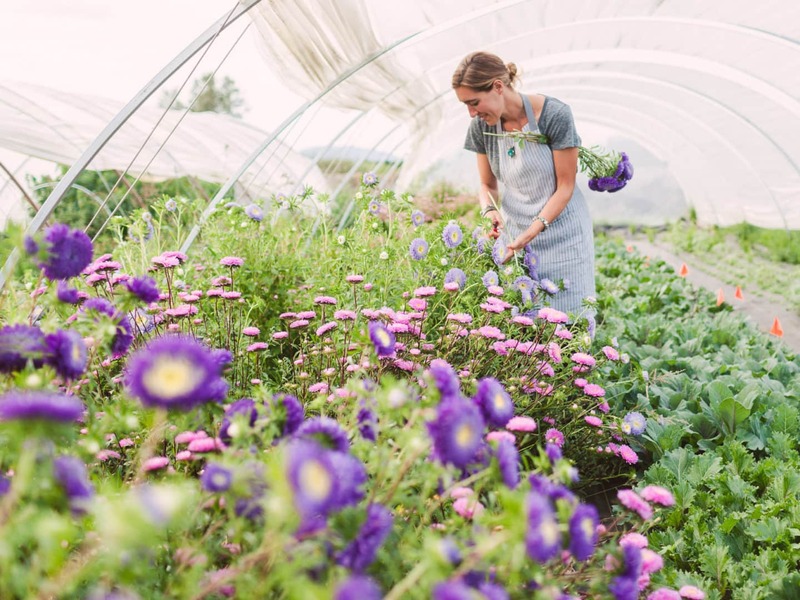 Is it geared more towards the everyday gardener, or those wishing to start their own flower farm? It is definitely geared towards the home gardener and floral designers wanting to start their own cut flower garden to supplement their design work. I wanted to show flower lovers that they don’t need massive estates or expansive farm fields to grow great flowers. Even in the smallest spaces, you can create cutting gardens that are both pretty and super productive. Some of my most popular posts online are ones that feature big buckets overflowing with freshly-cut flowers. But harvesting these big, beautiful blooms is just one small part of the longer process of growing great cut flowers. 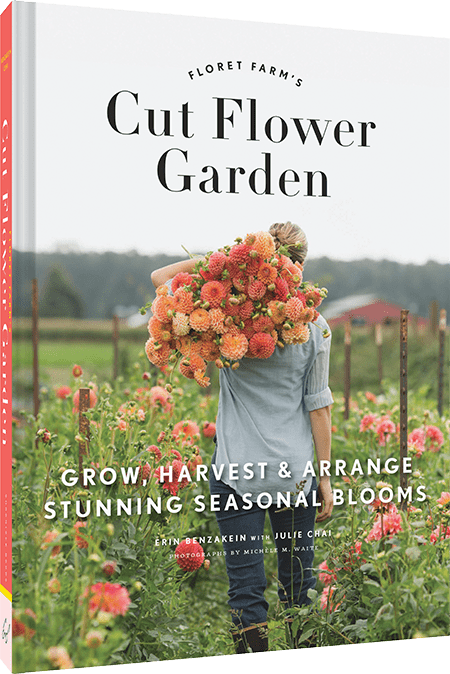 The book fills in all of those blanks by taking readers through the entire progression starting with planning your space and prepping the soil all the way through post-harvest care and providing design ideas for what you can do with your floral abundance. Whether you plant flowers in honor or in memory of a loved one, to provide food for bees or other pollinators, for a business or exclusively for your own personal pleasure, flowers are a beautiful balm for the soul. There are so many reasons to grow, share and enjoy seasonal flowers. My hope is that my book will help others discover this joy and grow the garden of their dreams. I’m sure throughout the writing process, there were so many little things you wanted to cover. What was the most challenging part about writing this book, and editing it down to the essentials? It is so true. There was much, much more I wanted to include in the book, but simply could not because of space constraints. Even after successfully lobbying to have the number of pages increased, I still struggled. For example, it was hard to pick just four peony varieties to feature in the book, when I really wanted to feature 14! I also wanted to go into even more detail about how to grow certain types of flowers, but had to narrow the focus on some of the easier to grow varieties that appeal to a broader audience. The most rewarding part was finally holding the finished book in my hands. I’m not going to lie, the book was a lot of work and challenged me in so many ways. After working on it for so long, finally seeing the finished book felt a little unreal! Reading the heartfelt notes and sweet reviews from folks who have been inspired to grow more or new flowers because of the book makes it all totally worth it. Being from the Pacific Northwest, our seasons are very different from other regions - hello, rain! Will the seasonal format of the book speak to gardeners in varying climates? Absolutely. I worked with my phenomenal editor, Julie Chai, to make the book as universally applicable as possible. Instead of referencing specific months or days of the year, for example, I discuss planting and harvest dates in relation to the number of weeks until your first or last frost. Plus, all the measurements include metric system references. This took a little extra work, but it was important to make it accessible, regardless of the growing zone, continent or even what hemisphere your garden is located. One benefit to growing flowers is that you have an abundance of gorgeous blooms at your fingertips to play with! You are a great example of someone who has taken advantage of that and become a sought-after floral designer on top of growing. Tell us a little bit about the floral arranging aspect of the book. For each of the four seasons, I include a few floral design projects. I loved being able to showcase the beauty of seasonal flowers by creating simple, elegant designs. Each project includes detailed instructions and photos illustrating each step in the design process. Several of the projects incorporate nontraditional foliage you may have in your landscape that I love tucking into your into designs for added texture and interest. Lastly, if you could go back and give yourself one piece of advice when you were first starting out, what would that be? In regards to writing, my advice would be: be patient. Just as it takes a lot of time, patience and a lot of love to take a tiny seed and nurture it into a fully grown flower in bloom, so too does it take time to take an idea for a book and nurture it into an actual book. In terms of gardening and flower farming, I’d remind myself about the phrase don’t let the perfect be the enemy of the good. Thanks again for sitting down with us, Erin, and for sharing your invaluable knowledge with our community. For more gardening how-to's and information, be sure to check out the Floret blog - it's a treasure trove of growing tips & tricks!